I might have finally hit on the perfect vegan milk for my ice cream shmice cream: hemp milk. It is neutral in flavor and has a nice thickness to it. This time I added bananas as an additional thickener which also gave it a lovely light banana flavor. Mix all of the ingredients in a big bowl. 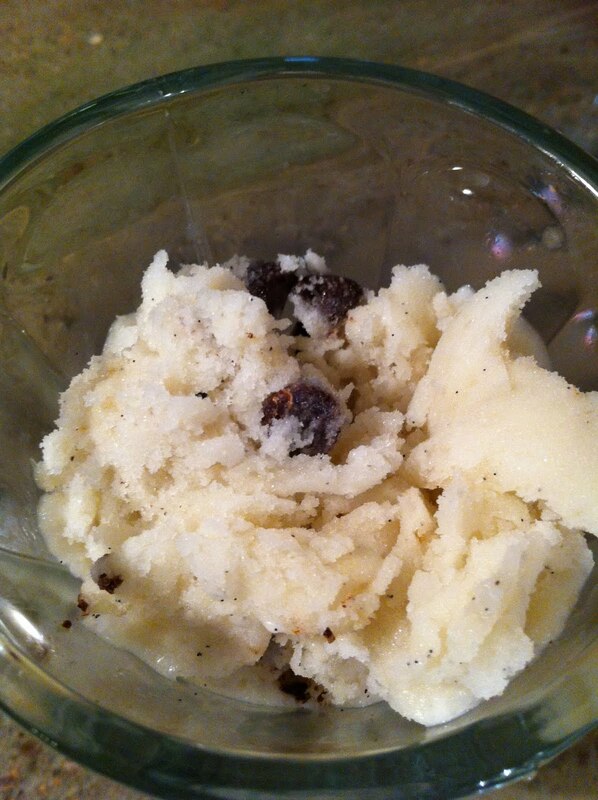 Half the vanilla bean, scrape out the seeds, and mix them in. Drop the bean in too and refrigerate for a few hours. Place in ice cream maker and let it churn. When it is almost done, about 15 minutes, add the chocolate chips. That sounds very intriguing, I'm always looking for a new ice cream base. I'll definitely have to give it a try.